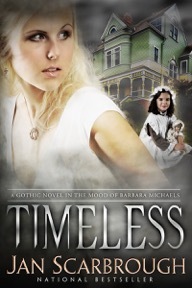 Being a history major as well as an ex-English teacher came in handy when writing Timeless, a Gothic suspense. I pulled out a couple of books from my research library: Haunts of Old Louisville by David Domine, and The Great Louisville Tornado of 1890 by Keven McQueen. I wanted to use information from both books as inspiration and background for my story. It’s strange what a novelist needs when writing, and the Internet is a handy place to find that information. Some of the things I researched were Baxter Square Park—Louisville’s first park—a party game called Flip Cup, post-traumatic stress disorder, and the events of September 11, 2001. I also researched a hill in Louisville’s Cherokee Park where people sled in the winter and is still called “dog hill.” I investigated carriages from the 1890’s and period clothing. I combined all my research into a first person account of the heroine and her journey from the past into her future. I’d love it if you’d sign up for my monthly newsletter. As a subscriber, you’ll receive a list of my favourite places to visit in the Bluegrass, insider scoop on my stories including exclusive reads and sneak peeks for upcoming releases, and you’ll have a chance to win my monthly giveaway. She looked up, startled, and smiled at me as if she knew me. And then she ran from the bed toward the door to the parlor that was shut. My heart raced. I followed her, flinging open the door to stare out into the empty parlor with the gray streetlights creating a defused, half-light glow in the room. Comment and enter to win! One commenter will receive a print copy of Timeless! Winner will be drawn and announced tomorrow…good luck! Oh, you know how much I adore Gothic romances! And this one has a ghost! I love that!! Can’t wait to read it! History wasn’t my favorite subject when in school, but I now love it. I can see why you love using it in your books! Wishing you much success on your release. I’m a lot like Darcy–never liked history. We had to memorize dates! Now I love to research history, the future, anything I might need. Great post! I don’t envy you the research though….thinking about writing a/an Historical….not sure if I can hack it LOL! I can relate to the disparate items we research when creating a story. Yours sounds wonderful. Best of luck on the release. Sounds like a really cool story! I love historicals, and I love research. Best of luck! Loved the excerpt. Best of luck with your book. Thanks all for stopping by. How many of you have read the Outlander series? Can you imagine how much research that took? Love, love, love history! This sounds like a great read. Paranormal rocks! 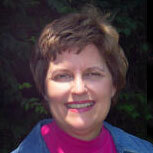 Can’t wait to get into my Jan Scarbrough book waiting on my TBR pile. Best wishes for continued success.